New by Alessi, the Italian Espresso Maker "Ossidiana", available in three sizes, makes the best Italian Moka Coffee that gets you going in the morning. This type of coffee pot is a drip brew coffee maker for the stove top and uses gravity to take the water through the coffee system. 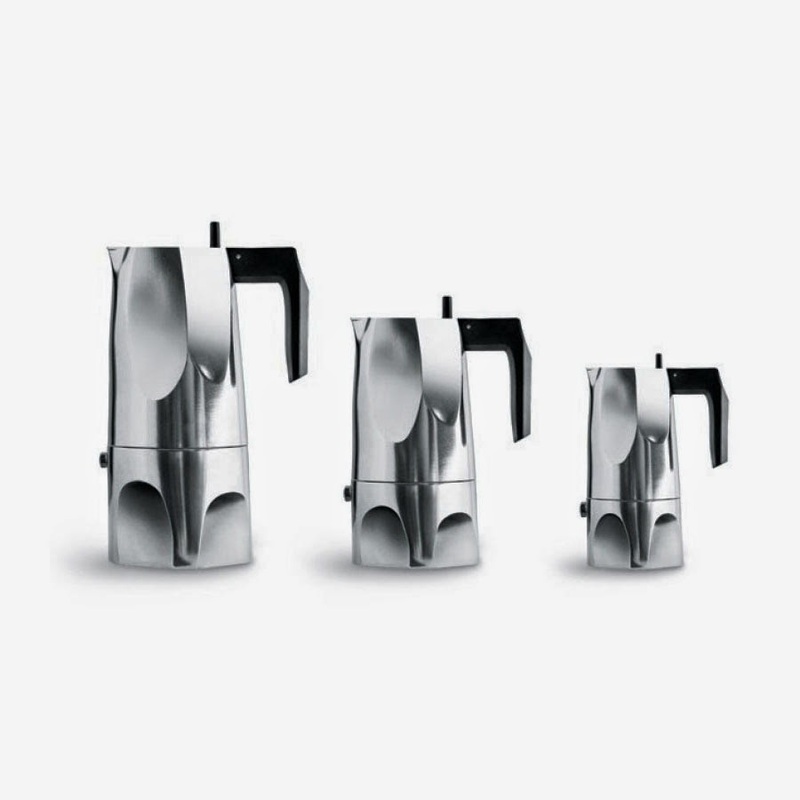 Mario Trimarchi created this Italian Moka version for Alessi and it already has become a classic Alessi design and a beloved Italian design icon. This coffee maker is made from cast aluminum. The handle and knob have been made from black thermoplastic resin. Made in Italy!